Director Shirish Kunder tweeted an exclusive picture of his leading lady Sonakshi Sinha from his upcomg film Joker. It is believed that the actress will have some enticing moves in a special song and dance sequence called Dance Karle English Mein in the movie. The movie Atlas Shrugged, based on the 1957 novel by Ayn Rand, is all set to release in the US today. In due course, the film will also be released in India and other countries. 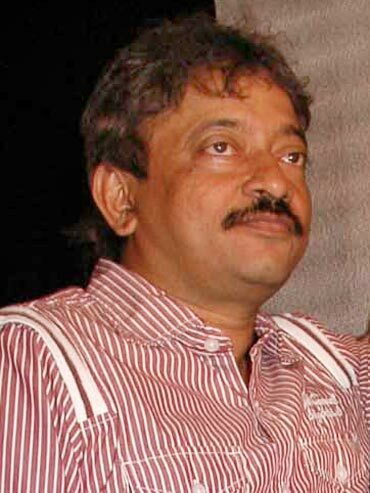 Ram Gopal Varma already has an opinion about the movie. 'I have a feeling that the film version of Atlas shrugged compared to the novel will be as bad as Aag was to Sholay,' he tweeted. Baisakhi, the harvest festival of Punjab, is being celebrated across the country today. Stars joined in, as they tweeted in their wishes. Amitabh Bachchan wished everyone a happy Baisakhi. 'Paila Baisakh to all ... love and success and prosperity in whatever venture you may take up,' he wrote. Vivek Oberoi wished his fans of all communities: 'HAPPY NEW YEAR!!! Wishing all my Sikh, Malayali, Assamese, Bengali, Odiya and Tamil friends a very happy Baisakhi, Vishu, Bohag Bihu, Pohela Boishakh, Vishuva Sankranti and Puthandu!!! May you and your families be blessed with health, wealth and prosperity! Wishing u love, light and laughter,' he wrote.